I recently offered up the idea of our “quadratic intelligence,” of four distinct types of intelligence in us that open up and come online in developmental stages, each one engaging us with a dimension of reality. I pointed out how Western psychology and education theory have only recently come to realize that our earlier notion of an “intelligence quotient” (IQ) was really measuring only one of these types and not intelligence as a whole. 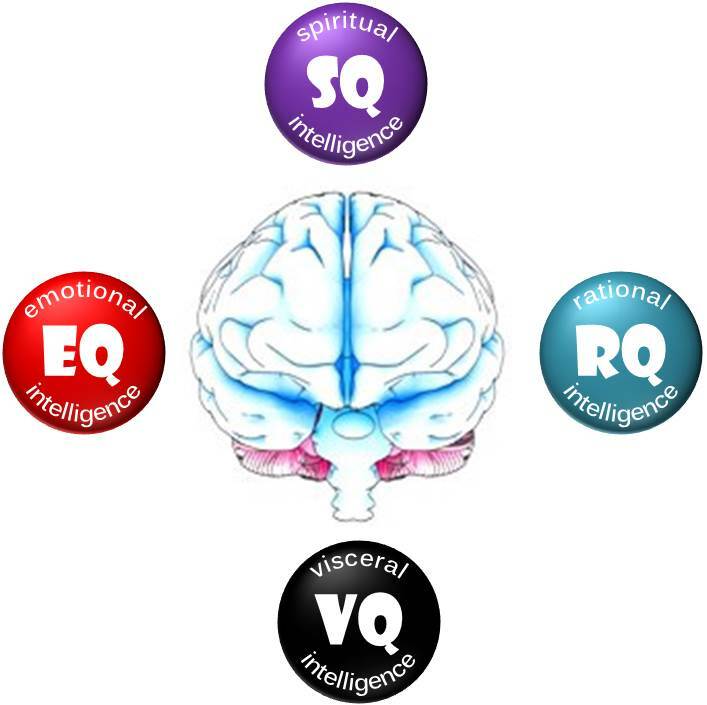 The ensuing scholarly “discovery” of emotional intelligence (EQ) and spiritual intelligence (SQ), of how both of these bring deeper support and expanded horizons to the rational intelligence so highly prized in our STEM (science, technology, engineering, and mathematics) culture, is challenging us to adjust our categories around what it means to “be intelligent.” In addition to these three types of intelligence, I suggested that we complete the set with a fourth: visceral intelligence (VQ), which is more or less equivalent to what we already know as the autonomic nervous system. I took my reader for a quick ride up the channel, starting in the unconscious internal state of the body (VQ), connecting emotionally to the environment outside the body (EQ), parsing and classifying the object of experience into a rational system of meaning (RQ), and breaking out of this logical box into the spontaneous intuition of a higher wholeness (SQ). 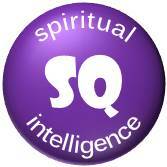 A successful breakthrough of spiritual intelligence to some extent depends on an equanimity of emotional and rational factors – not so engaged (EQ) or detached (RQ) that genuine transcendence is prevented. In this post I want to clarify this theory further into its distinct modes of intention and how they work together in the full harmony of intelligence. “Mode” is derived from the root mod, which refers to a way, manner, form, or style in which something exists or behaves. I hope to show how our human way of being and manner of life grows more distinctively human as we ascend through the network of our four intelligences. 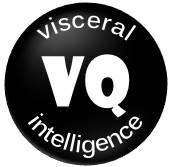 Visceral intelligence (VQ) represents a mode of intention that anchors consciousness in its deeper ground. The internal state of our nervous system seeks to hold the body in a dynamic equilibrium where an electro-chemical conspiracy of events sustains us in life. Out of this provident ground arises consciousness itself, which must preserve its anchor in the body, and through the body to the living earth. 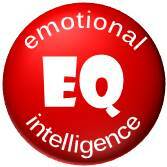 A step up from the largely autonomic processes of our internal state brings us into emotional intelligence (EQ) where the mode is to engage with the environment around us. 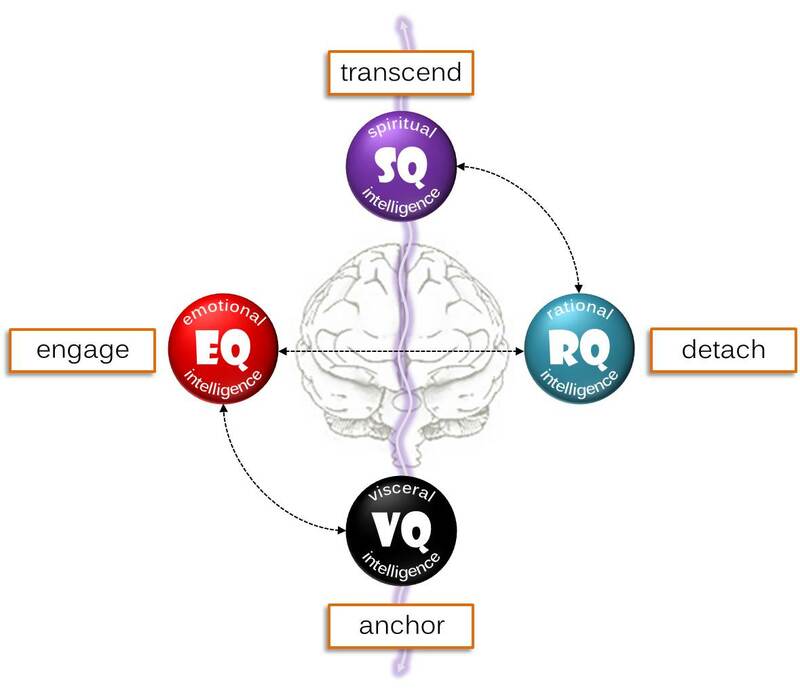 Emotional engagement begins very early in life and serves the function of connecting our internal state (VQ) to the realm outside the body, adjusting state as necessary and motivating behavior that is adaptive. Another derivation of mod is “mood,” referring to this matching of internal and external, internal state to external situation, in a generalized temperament that bridges the two realms. 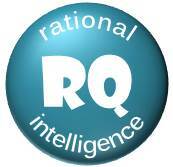 From emotional intelligence we move into rational intelligence (RQ, formerly IQ) where the mode of intention shifts from engagement to detachment. Obviously this mode serves us well when our objective is to grasp something for what it is in itself rather than how it may be affecting us personally. Western science has perfected this modus operandi of detached observation in its experimental method, which has enabled us to take control of our environment in remarkable ways. Our characteristically Western preference for rational operations over emotional feelings when it comes to what we believe we can really count on for a truthful experience of reality, has led to the unfortunate consequences of environmental degradation, inter-human violence, and neurotic disorders. We have become adept at constructing thought “models” – yet another term with roots in mod, involving our conceptual ability for abstract representation – as our emotional programs remain snagged in adolescence and early childhood. The healthy balance of emotional and rational modes of intention is how I define equanimity – a high value in many wisdom traditions around the world. Importantly equanimity is not about suppressing or subtracting from our animal nature, but rather harmonizing its deeper impulses in a mode of conscious life where passion (EQ) and reason (RQ) complement and support each other. I would agree that equanimity is all too rare in society today, where part of ourselves seethes in raw emotion as the other part analyzes everything (literally) to death. This is exactly where our widespread lack of “ego strength” (a related idea to equanimity) has us stuck: collapsing spontaneously into mental chaos (borderline personality), swinging wildly between emotional extremes (bipolar mood), and splitting into a variety of subpersonalities that contend for the seat of control (dissociative identity). Absent a secure center of self-conscious autonomy (ego), these inner demons take us over – especially when we are stressed, anxious, or frustrated, which is to say more and more of the time these days. When I identify the intentional mode of spiritual intelligence with transcendence, I want to guard against any tendency to separate it from our embodied life. As I see it, it’s been a mistake of rationalism to represent the soul as metaphysically alien, existing apart from the body as its resident ghost. Transcendence, here, should not be interpreted as going beyond the body and leaving it behind. What we transcend are the rational constructs by which we define and classify reality, and believe one thing or another. To grasp all at once the unified mystery of existence requires us to “go beyond” what we think we know. The tightly interlocked system of meaning that we spin around ourselves like a spider’s web may answer our needs for security, identity, and significance, but it also separates us from the present mystery of reality. This veil must be pulled aside for the sake of mystic communion with reality as such. It is in that higher mode of intention that we realize All is One. If we had equanimity and ego strength, and were firmly anchored in the provident ground of life, the invitation of spirituality to step through the illusion of meaning and into oneness would be accepted with joy and celebration. The centerpiece of this illusion is our self-concept as separate and fully autonomous individuals, immortal beings on our way through to something better on the other side. Genuine spiritual freedom is about getting over ourselves.